First of all, thank you all so much for your well wishes when I was so ill in Berlin. I was literally crying alone in my horrible little hostel room with a fever and the chills and then I heard the ping of messages received and so many of you reassured me that my issues weren’t silly. Thank you. It felt good that I wasn’t alone even though I felt so geographically isolated. I felt horrible during the entirety of my stay in Berlin. I felt terrible during my flight to London. But something about the familiarity of London provided a feeling of peace and energy and creativity. It always has. It’s the place that feels more like home than even where I live and was born. I love wandering the streets of Chelsea and Battersea and Knightsbridge and imagining my favorite authors and characters within the confines of such. Around the corner was where Sherlock Holmes chased some nefarious villan, or where Mr. Darcy hunted down Wickham and made him marry Lydia. Or passing Charing Cross Road, I get a chill of excitement that Harry followed Hagrid and entered the magical world of wizards and witches nearby. Supposedly. Black peacoat: Gap, super old. Scarf: street vendor, Paris. Striped shirt: Old Navy. Mint cords: Old Navy. Bag: Prada. But I also like to observe the real and present among the same streets. Usually, I like to observe what people are wearing. I remember in 2003 I noticed that many people were wearing ballet flats and skinny jeans. Two years later, those both became ubiquitous in the U.S. This time I noticed that the fashions were remarkably similar to what’s going on here: chambray shirts, stripes, top knots, red lipstick, oxfords, brogues. I was pretty disappointed. Right now there is an exhibit in London at the V&A that all of my friends recommended I see: “David Bowie is” which lived up to the hype. First of all, I wasn’t a huge fan of his, and was surprised how many great songs he has. (I didn’t know “Heroes” or “Under Pressure” was his work.) He is a huge influence on Radiohead (my favorite band ever), Lady Gaga, Tilda Swinton (SWINTON!) and Muse. The neatest part of the exhibit was demonstrations of how he engages in the creative process. For example, he employed a guy in Silicon Valley to create a program which amalgamates news headlines into phrases he can then use as prompts to write songs. Cool stuff. He also has wide-ranging intellectual influences like Brecht, the Weimar Republic, the dawning of the space age and NASA. The exhibit made a big deal about this performance of David Bowie in 1972, for “Starman”: it supposedly blew people’s minds with its weird costumes, personas and androgynous style. Honestly, it seems pretty tame to me, but, whatever. 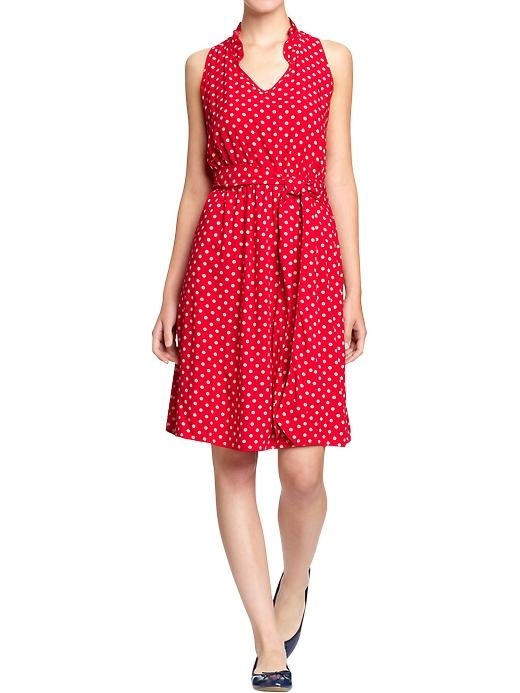 Dress: Old Navy. Cropped jean jacket: Target. Necklace: Banana Republic. Flats: Old Navy. Purse: Prada. Later that night I went to two (TWO!) 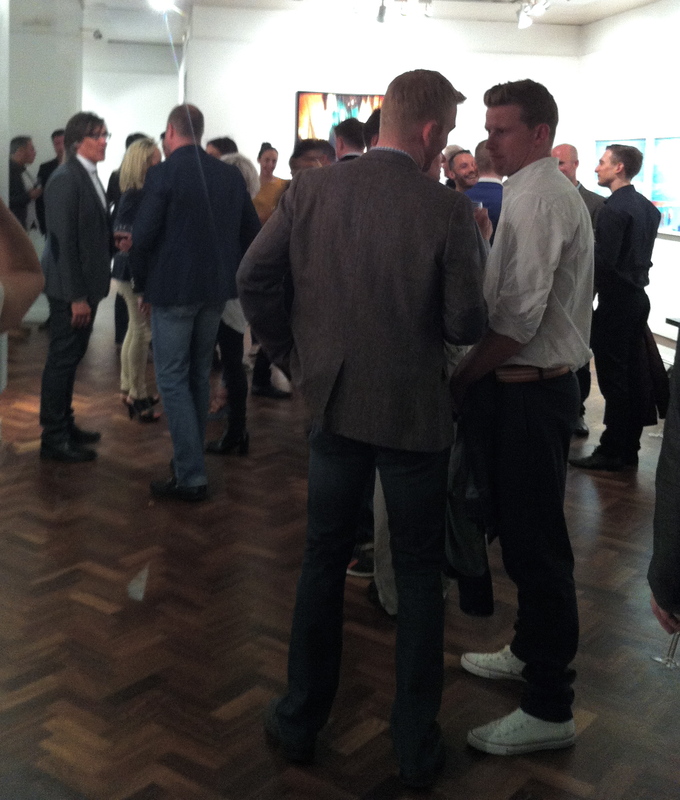 gallery openings. I was extremely nervous because I was going to be around my friend’s very glamorous crowd. I decided to take a risk and wear my jumpsuit. 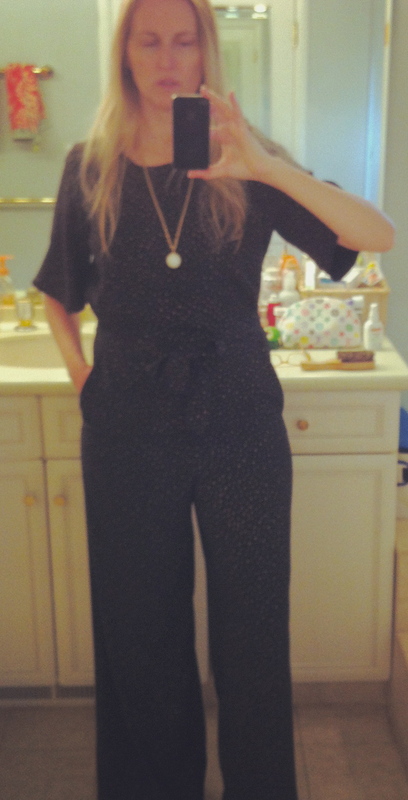 Jumpsuits have a bad reputation, but I felt pretty good in it. Sort of 70s, sort of Bowie. Stars and moons jumpsuit: Anthropologie. Necklace: Banana Republic. Are there any cities or places that make you feel more at home than even where you live? I like my Fall Fashion Vision Board, much more conveniently located on Pinterest and not taped and plastered to my closet wall, like my vision walls of yore. But now that November is here and more dressy (and chilly) events are approaching, I’d like to add some classic Hollywood images to inspire upcoming November events. 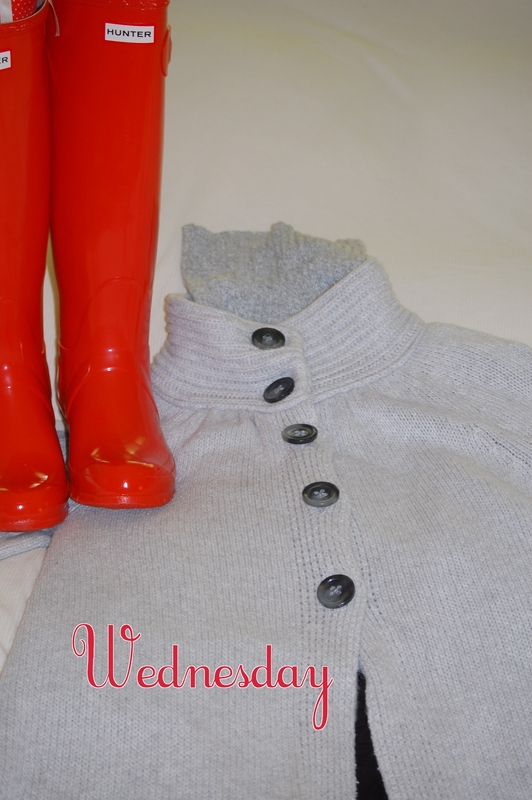 Once upon a time, I had a salmon mohair sweater with embedded Swarovski crystals. 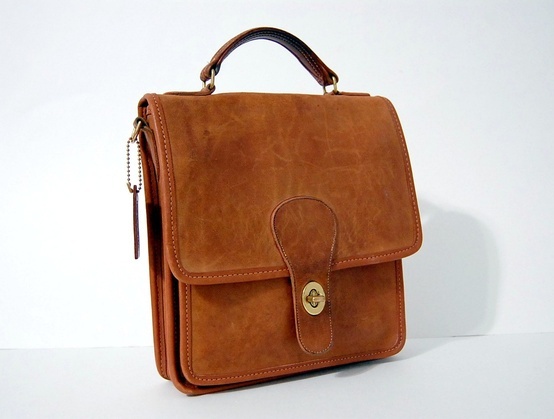 I bought it at Joseph in London and unfortunately it didn’t make the move back to the US. I love the Hollywood heritage of the mohair sweater, an item that bestows innocence yet glamor. Think Betty Elms in Mullholland Dr. I would love to have a sweater like this to be warm, yet look glamorous at a Thanksgiving dinner. Longer though, a little less snug and with a cute pencil skirt. 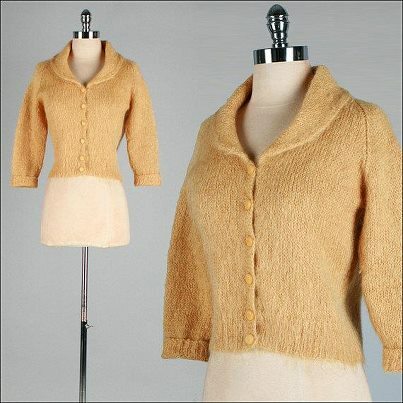 I have my eye on this vintage mohair sweater in butterscotch. I may consider sewing on Swarovski crystals for that extra glam look. We’re getting into the colder weather around here. Coats are tough: some can impart excess bulkiness. 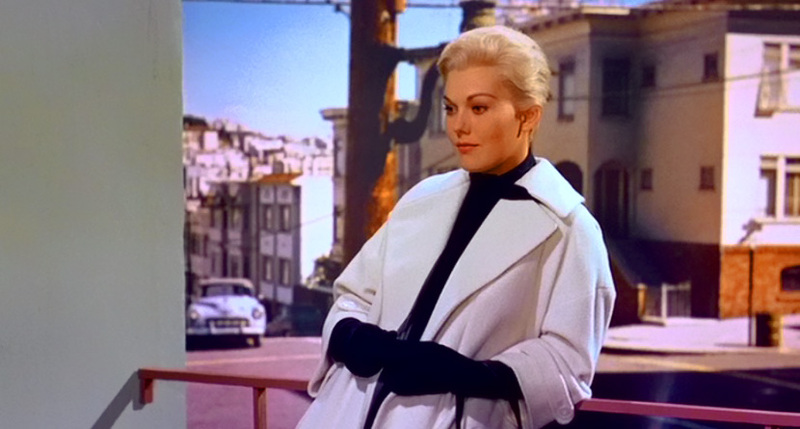 One particularly chic coat suitable for the very city I live near was this gorgeous white coat with the black gloves and turtleneck, from Vertigo. 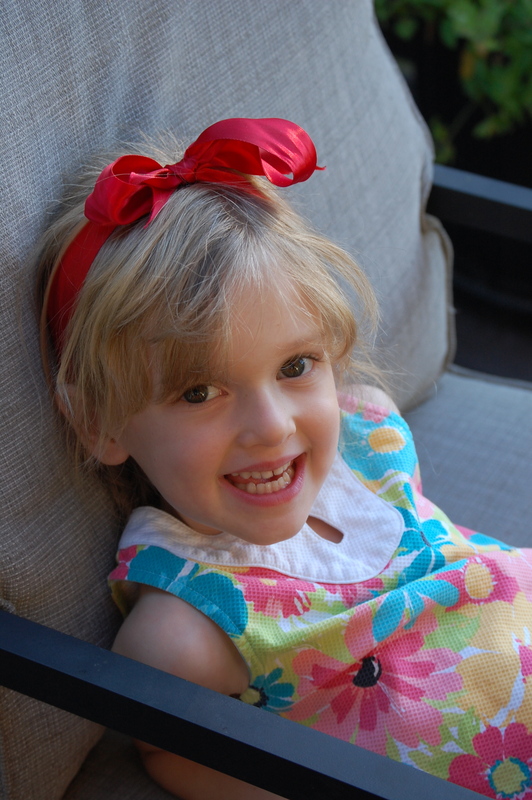 Not super smart for a mom of two pre-schoolers, but gorgeous none the less. This Valentino coat from the 90s has a similar feel. I love a good plaid skirt, and fall is the best time to wear one. Here’s a cute and more appropriate skirt length than Cher’s. 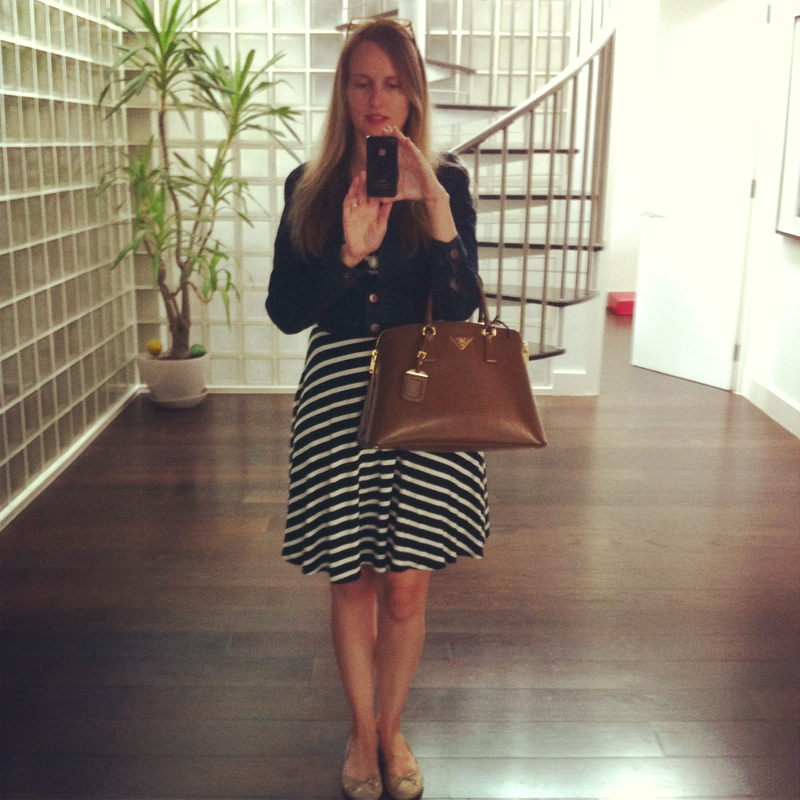 Vintage Burberry: in fact, I think my mom bought this skirt on her honeymoon in London. 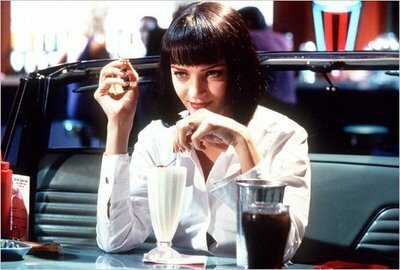 Are there any outfits or styles you love from the movies? Which ones would you love to try? I love Halloween. 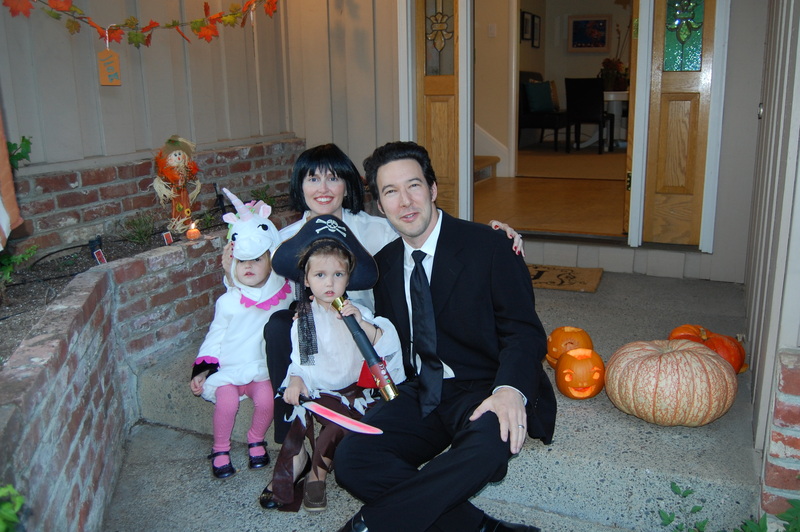 I love the scary movies (that I watch covering my ears), I love trick-or-treating with the kids, I love dressing up. 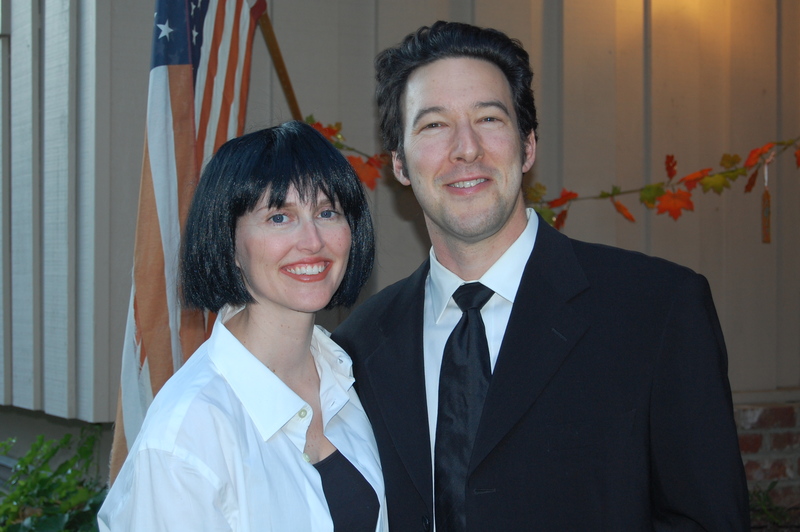 Last year, Darcy and I dressed as Mrs. Mia Wallace and Vincent Vega. Before the ahem, later scenes. I LOVE wigs. I don’t have the guts to cut my hair short or dye it, but wigs allow me to experiment with styles. I even cut and style wigs to make them resemble the character or look I’m going for. The kids have very specific ideas of what they want to be. Last year, my daughter wanted to be a unicorn. I had to hunt high and low, until I found her costume at Pottery Barn Kids marked down to $20 a few days before the 31st. (Procrastination pays off?) Jack wanted to be a pirate and he especially wanted that iconoclastic pirate tricorne with the skulls and crossbones. Here are some images inspiring my costume, from the period also inspiring my daughter’s budding hobby as a fashion designer: she is now making clothing (using fabric tape and with me controlling the scissors!). I think I’m going to order her some of my favorite toys of yore (now only on eBay): Fashion Plates. 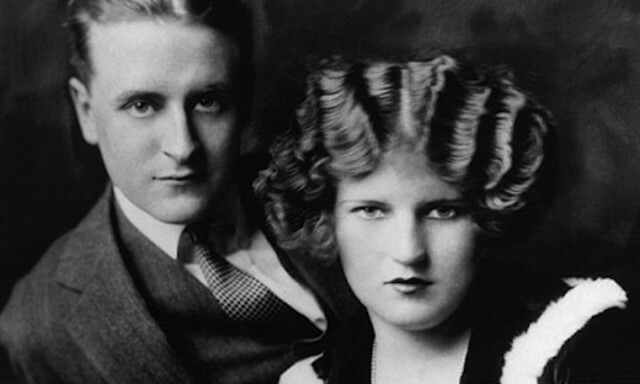 Zelda Fitzgerald. 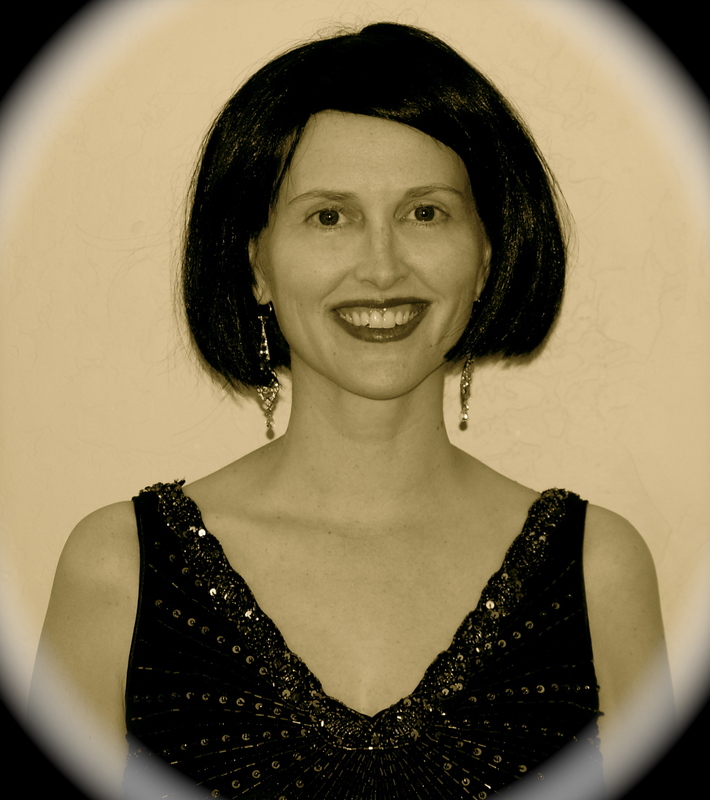 Tragic 20s heroine, who may have written more of F. Scott’s books than anyone is aware of. SWOON. 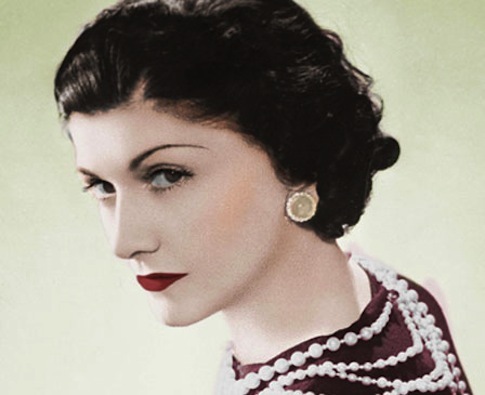 If you are looking for eye candy and love clothes, the movie Coco & Igor, about Chanel’s affair with the composer Igor Stravinsky is a must-see. The costumes are so chic and pitch perfect. A fashion lover’s dream. I loved the dark red lips and nails of the period. The makeup was very dramatic and skillfully applied. Do you like Halloween? What’s your favorite costume you ever wore? What are you going to be this year? But the best tip she gave me was: before you even try something on, hold it up to your face and see if it makes you look pale, sallow, or, best case scenario, it brightens your skin making you look healthy. Some colors are surprising: yellow is unpredictable. The color chartreuse? Looks good on me! RANDOM. You’ll see an outfit featuring chartreuse below. Chiffon yellow makes me look like I’ve caught diphtheria. My shopper also taught me to pair colors with a base or neutral color. To ground an outfit, you can have one base color. (Not a hard and fast rule, though: lots of good stylists avoid this.) Even though dark brown doesn’t look great right next to my skin, it does look fine as pants. Same with olive (also a base). If you are super skinny, you could get away with wearing white pants or a white skirt. But that doesn’t work for my proportions: darker colors are generally better for my bottom half to balance out my wide hips. Usually. 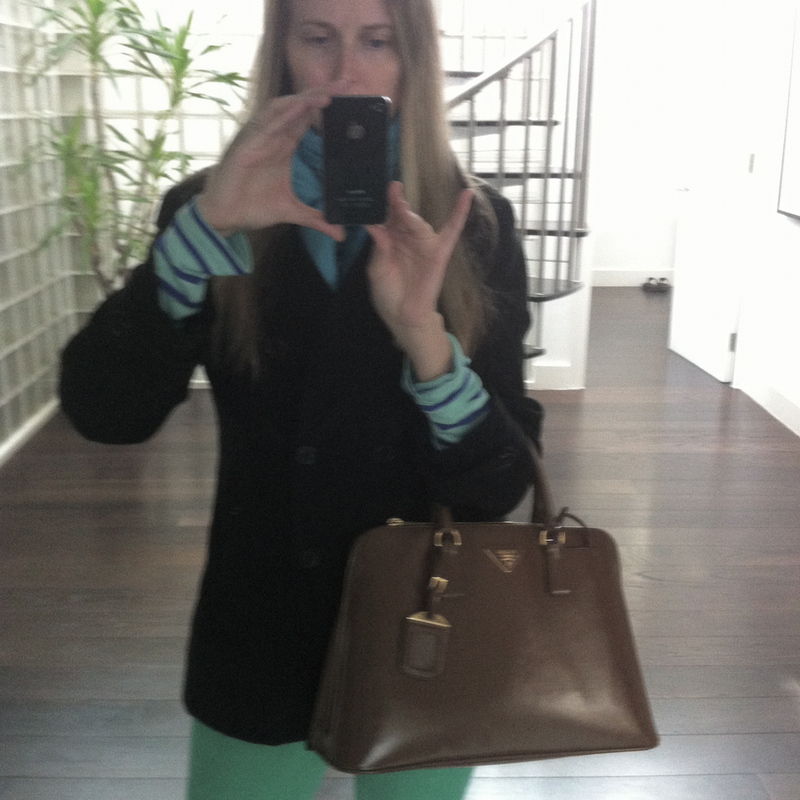 Colored skinny jeans, if paired properly, are almost universally flattering. That’s why they’re so popular. Then there are the seasons to take into account. 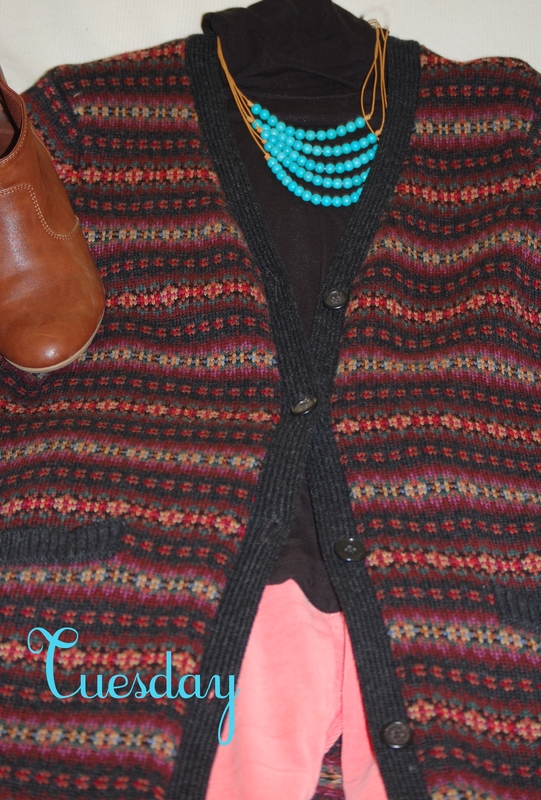 I do like to wear the oranges, yellows, rusts and the multi-colored comfy sweaters during October and November. Chartreuse and grey generally pair well, and that’s true in design too. Purple, grey and chartreuse are fantabulous all together. In an ideal world, those would be the colors of my living room. 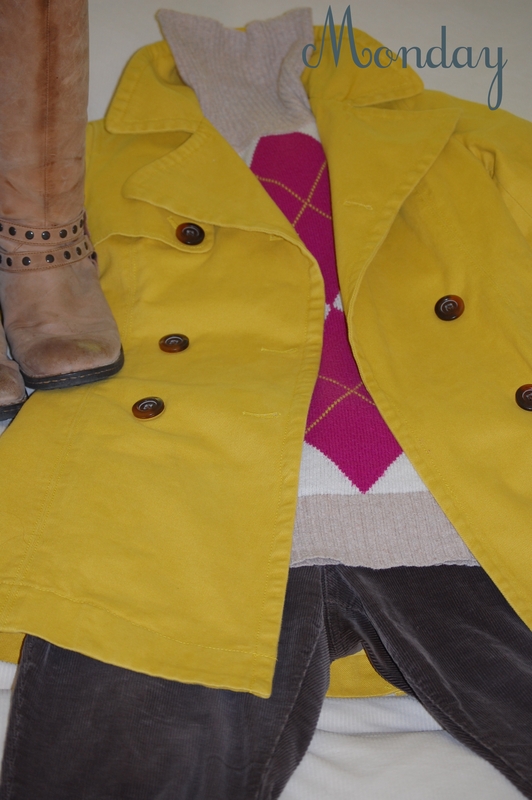 I found this peacoat (I LOVE peacoats!) and the color oddly worked with my skin tone. I had no idea what to wear it with until I found this sweater, from the same store. Another tip: it’s easier to pair colors at a store with a collection that matches all together. 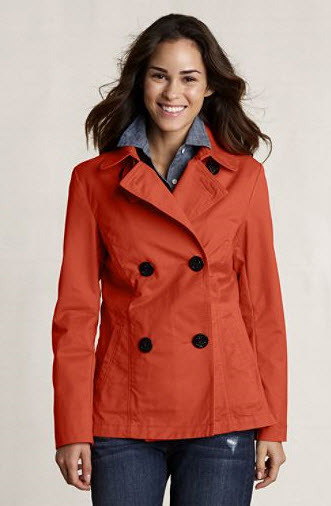 Peacoat: Old Navy, 2009. Sweater: Old Navy, 2009. Grey cords: Banana Republic, 2010. Boots: Born, 2009. 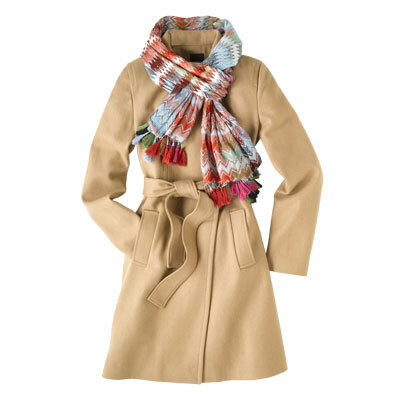 Back when I was using my personal shopper, she pulled this sweater coat for me: it was marked down to $180 from $990. I thought she was crazy. She convinced me that not only was this a classic American style (the blanket coat), but she also knew it would balance out my proportions. I wore it to death in London. It’s warm, cute, and feels like a bathrobe, shows NO stains, yet I always get a million compliments on it. One of my greatest purchases, ever. Sweater Coat: Ralph Lauren, 2000. Turtleneck, INC (gift). Necklace, Lucky Brand 2012. Peach cords: Old Navy, new. Boots: Payless, new. This outfit’s pretty boring. It was cold and rainy, and miserable. I just wanted to be comfortable. I figured the Vermillion boots added enough of a punch to brighten me up. I love those boots. Grey sweater: Old Navy, 2010. Grey turtleneck: Walmart, 2011. Leggings: H&M, 2010. Boots, Hunter, new. The weather perked up a bit and I thought it was warm enough to wear this. Yeah, no. I was freezing. But I felt cute. The sweater is that tomato red color that works so well for me. 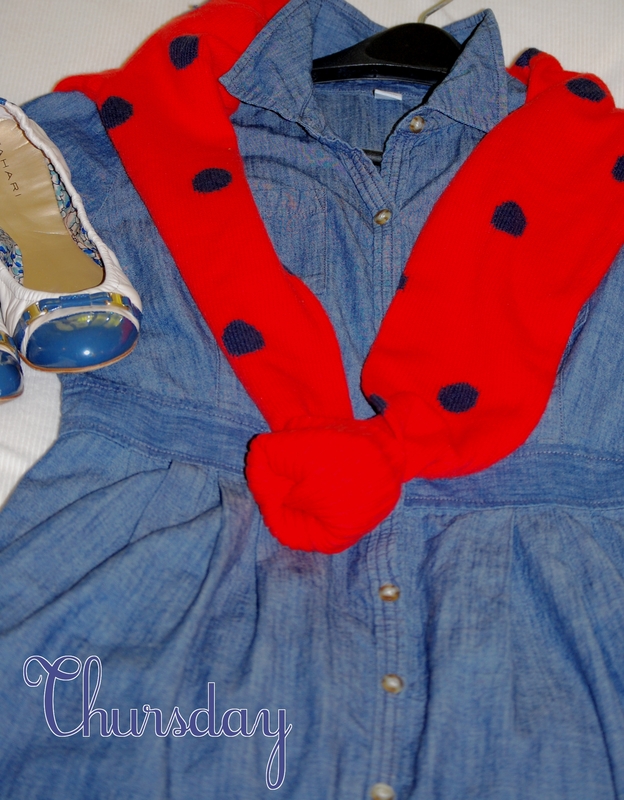 Denim shirtdress: Old Navy, 2012. Sweater: Gap, new. Shoes, Tahari, 2012. If there was a date night. Black and beige are good neutrals for me, and outfits can be composed entirely of neutrals, as Coco Chanel spent her life proving. 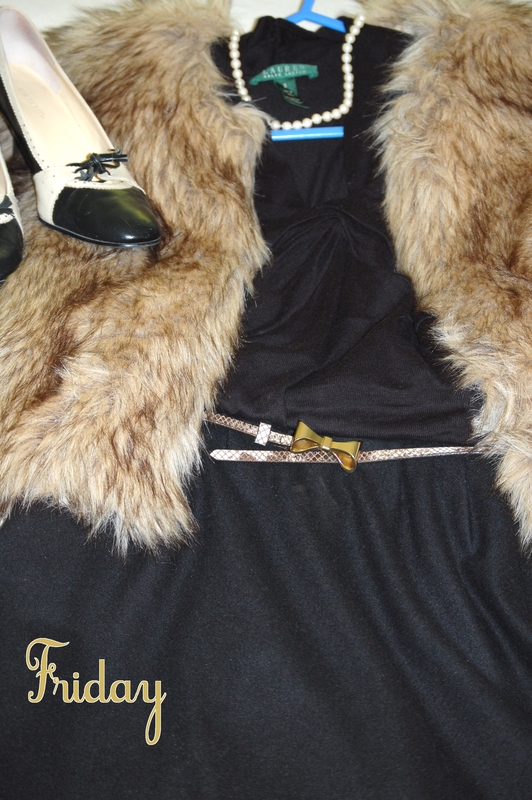 Faux fur coat: Michael Kors, gift. Shirt, Lauren, gift. Skirt, Banana Republic, 2006. Bow belt: Anthropologie, gift. Spectator heels: Aerosoles, 2006. What colors look good on you? Do you wear colors that don’t suit you because you like them anyway? What’s your favorite color to wear? Yesterday, I gave the kids their very own scissors for craft projects. I had consulted various experts and teachers, and concluded they were ready. Well, the headline of this post says it all. My daughter decided she wanted to look like Coco Chanel. Yes, she knows who she is. She’s obsessed with fashion books. The amazing thing is her haircut looks GREAT! It’s insane, but she created the classic tapered bob HERSELF, with the hair shorter in the back and longer in the front. The bangs could have been more even, but her instincts are pretty (this word is overused but appropriate here?) fierce. I’m torn between being proud of her individual style and annoyed that she cut her hair without my permission. 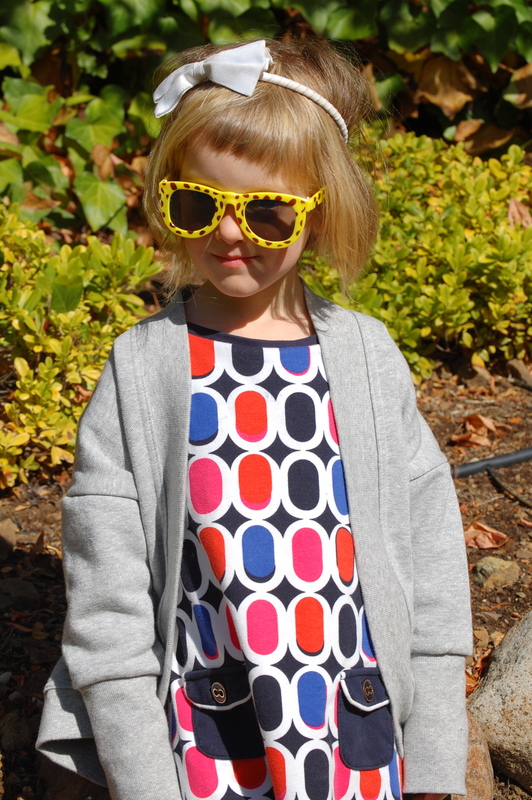 Dress: Gap Kids. Shrug: Gap kids. Headband: Janie & Jack. 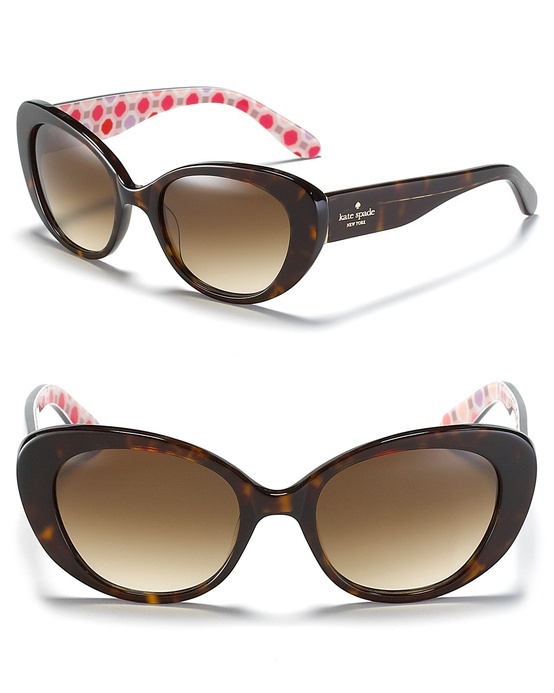 Sunglasses: unknown. Did you ever cut your hair when you were little? When you were little, did you have a strong idea of how you wanted to look? Some of you emailed me and tweeted me, asking which fashion bloggers I followed. A lot of you told me you too were inspired to organize your closet and put together an outfit planner. For my part, I wore my planned outfits and I have never received so many compliments (since the twins were born, anyway) about my appearance. I even got cat-called today when I walked past a construction site! Here’s the thing: I LOVED fashion in my teens and twenties. I used to design a vision board that would inform what clothes I would buy and wear each season. Then I gained weight after infertility treatments and I haven’t been able to return to my desired trim size since the twins have been born. So I thought I didn’t deserve to wear pretty clothes. You know what? That’s BS. EVERYONE deserves to look nice, and find a style that works for them. I adore Atlantic Pacific. She takes risks, she embraces trends yet has an inimitable style all her own. Also, her outfits are FUN. I loved most of all what she wore to the Kentucky Derby. New on my radar is Tomboy Style. I wouldn’t describe my style as tomboy in general, although I do love flats and button down shirts. But I like the woman-empowering ethos and philosophy here, and I LOVE the profiles of stylish tomboys of the past, like this one of Pat English, a lion tamer in the 40s. The Blonde Salad is an Italian fashion blogger, and she does have a decidedly continental flair to her outfits that is unique. This is the best outfit I’ve seen this year. I love, love, love everything about it, especially the necklace and boots. Perfection. Advanced Style is truly inspiring. Ari Cohen is a street scene photographer who finds the most stylish women in NYC: and they all are over 60. I can only dream of being this chic. I created a Fall Vision Board, for the first time in ages. It’s on Pinterest, and you can check it out here. 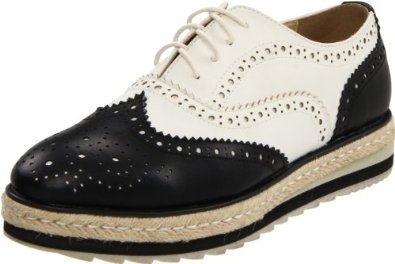 I am really inspired right now by black and white solids, black and white graphic prints, the color camel, a Coach satchel bag that I bought in the 90s (my first “investment” purchase) that is now lost (sad face), short boots, polka dots and dashes of red and orange here and there. And red lipstick. Lots and lots of red lipstick. Do you pin outfits on Pinterest or plan Vision Boards before you go shopping? 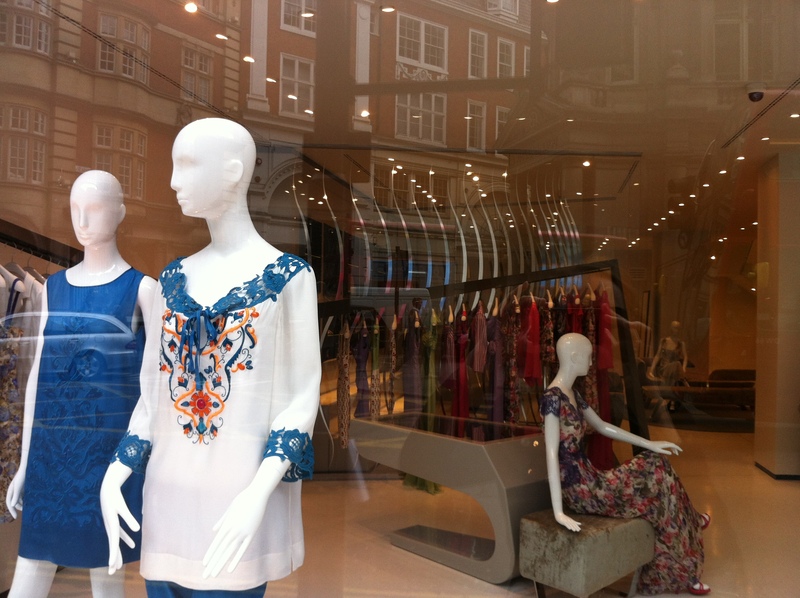 How do you plan your clothes shopping? Do you do it around season? AND I’d love to follow you on Pinterest! Let me know in the comments your Pinterest account.